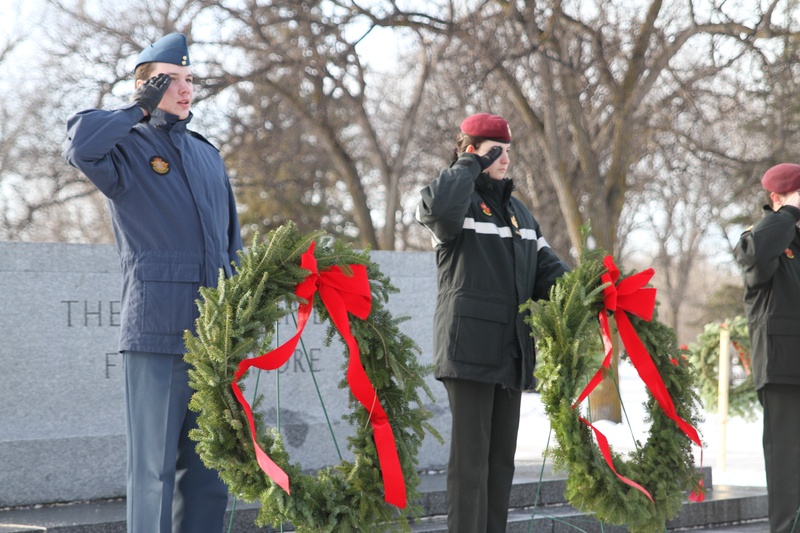 Bison Transport arranges for the purchase and transport of thousands of wreaths for the WAC ceremonies in Manitoba and Ottawa. 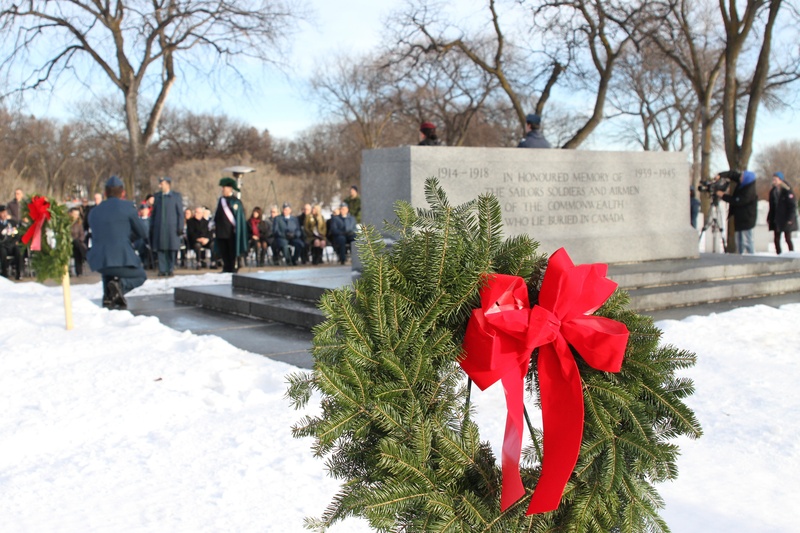 Wreaths Across Canada (WAC) has an important mission: Remember - Honour - Teach. Each year on the first Sunday of December, WAC organizes the placing of wreaths of remembrance on the headstones of thousands of military veterans in military cemeteries across the country. Bison Transport is a proud supporter of Wreaths Across Canada. Bison’s President, Rob Penner, got involved with the organization a few years ago, championing the inaugural Manitoba service at the Field of Honour at Brookside Cemetery in Winnipeg. Since then, Bison has been arranging for the purchase and transport of wreaths that are placed on our fallen military personnel’s headstones. Brookside Cemetery is just down the road from Bison’s Winnipeg Terminal, with more than 11,000 fallen military personal buried there. It’s a solemn place, but also a place where you can’t help but feel proud to be Canadian. This year, spurring the growth of the organization in Manitoba, WAC will include a service at the Field of Honour at Transcona Cemetery. Bison is working with WAC to continue their expansion, with our hope to see ceremonies in military cemeteries right across the country. I had the opportunity to represent Bison at the WAC ceremony at the Beechwood Cemetery in Ottawa last December. I attended the ceremony with my 14-year-old son Thomas, and what an experience we had! There was so much for a young person like Thomas to learn. We met many military personnel, both currently serving and retired, who spoke directly to Thomas of their lives in the military. We watched the cadets, who had spent the morning unloading thousands of wreaths, march in and out and perform at the service with the ultimate of precision. We saw the Chief of the Defence Staff arrive and depart in an impressive motorcade. We also enjoyed a performance by a choir formed of the wives of acting military servicemen. This was an emotional reminder of the family members who make their own sacrifices at home and are separated from their loved ones for long periods of time. The ceremony itself was incredibly moving, and the formality and protocol to which the military operates is nothing short of spectacular. Following the service, everyone went around the cemetery laying the wreaths on the headstones. It was the perfect way to have a quiet moment of contemplation of the incredible sacrifice our military personnel, honour them, and thank them for all they have done in the name of freedom and democracy. I knew in that moment bringing Thomas to experience this was more impactful than anything I could have taught him myself. Bison Transport supports the WAC ceremonies in Ottawa and Winnipeg. I would encourage everyone, if they are able, to attend one of the services happening across the country. The holiday season is difficult for many who have lost loved ones and is a perfect time for Canadians to assure our military families that their loved ones who have served our country are not forgotten, and we are forever grateful for the sacrifices they have made. 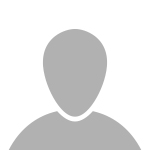 I will be taking my whole family to Ottawa this year so all of my children can have this incredible experience. As a parent, the WAC ceremony provides the perfect opportunity to remember, honour and teach.